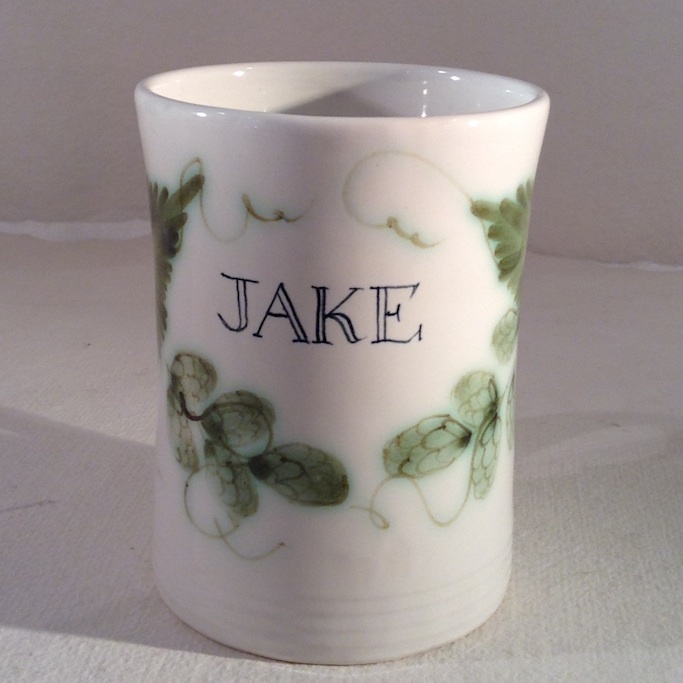 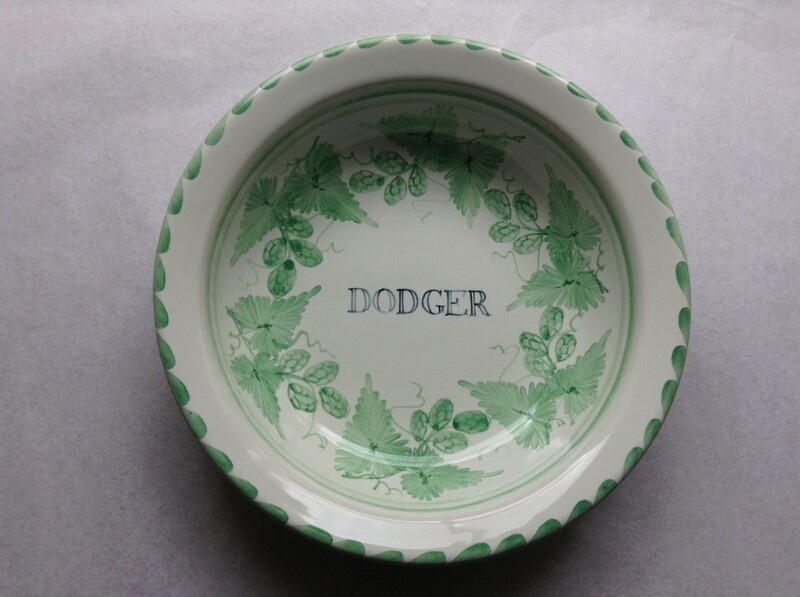 Traditional Kent Sussex Hops with bespoke Lettering on plates, bowls and mugs. 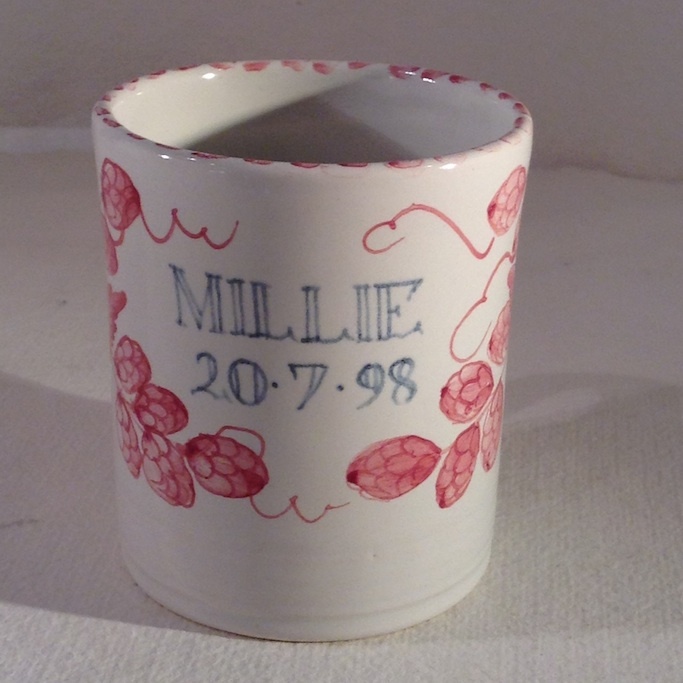 Rye Pottery’s own post-WW2 painted hops were first released in 1969 to commemorate our Centenary and echo the sprigged hopware produced here in the 1800’s. 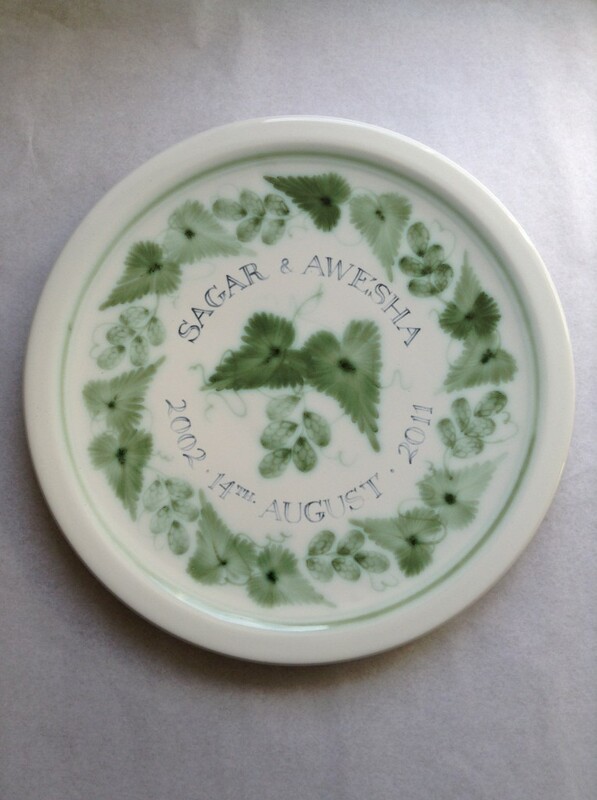 Available in Denmark Green, Cobalt Blue, Soft Blue/Green, Bright Paris Green, Pink, Coral, London Stone & Black and on a variety of sized plates, bowls, mugs and dishes.